Yesterday, Facebook announced that they are creating app center a new place for peoples where they can find the social apps more easily in a convenient manger. 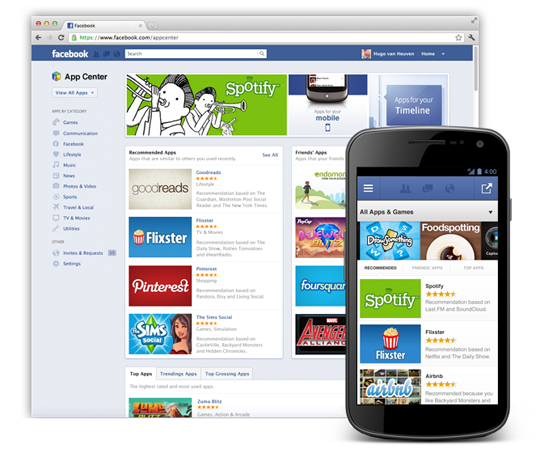 Fundamentally, the Facebook App center will resemble with app store where developers can grow up their apps, while people will be able to seek them easily. 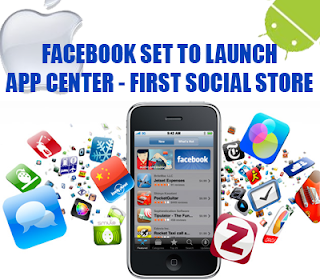 On May 9 Facebook Chief Software engineer said that “this new App center will provide developers an additional way to grow their apps, this will create opportunities for more types of apps to be successful”. He also mentioned that in approaching weeks people will be able to access App Center through web or on their Smartphone i.e. IOS and Android. All the web developers can easily get listed if they follow the correct guideline. So its moment that we developers must start practicing to make sure that our app are capable enough to be launch on App Center. More then 900 million addictive people daily use Facebook, this is the reason the app center will become the center of all activates, a place where people can find enormous apps like Flixster, Pinterest, Goodreads, The Sim Social and much more thrilling fresh apps. Additionally web applications, android applications and IOS apps will be available there. Every application has a comprehensive description which will allow users to distinguish what they can do after installing the app. To achieve success in App Center your app must be of high quality. 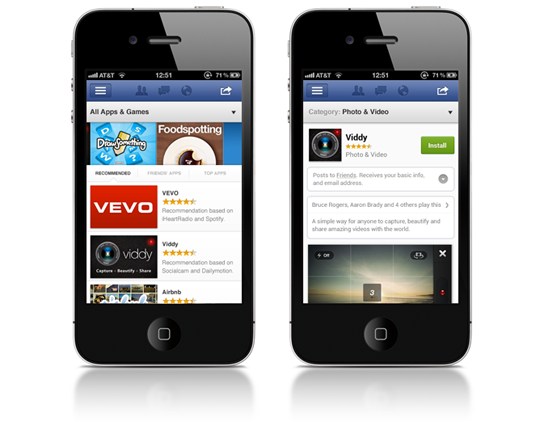 To measure quality of your app Facebook will use variety of different signs, such as a user score and user engagement. 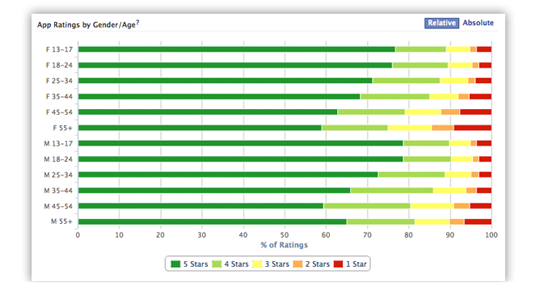 To help developers, Facebook will provide an insight page where developers can examine the metrics of user rating. Those apps will be displayed more prominently which are well designed, and are entertaining people. While those apps which will not meet quality instruction won’t be listed. One additional thing is that reviews of the users will be preferred. Only top rated apps will be kept there and apps having bad review will be removed. And all the analysis (comments) and ranking will be displayed publically that will allow the users to choose the best app. The app center is designed in such a why that it will grow up mobile apps which are available on Facebook, whether they are using IOS or Android. Users can download those apps which are well-matched with their device or if installation is required, they will redirect to Google Play or App Store. All App developer will be provided with a detailed information page. This page is required in order to get listed in App Center, and it will in addition become a destination where your latest and trendy apps will be displayed. There you can insert images of your apps, give extra details and construct the permissions your app demands. Still it is not opened for public, but Facebook has invited many top developers to review their apps on the world’s largest social networking site and to grow their apps. 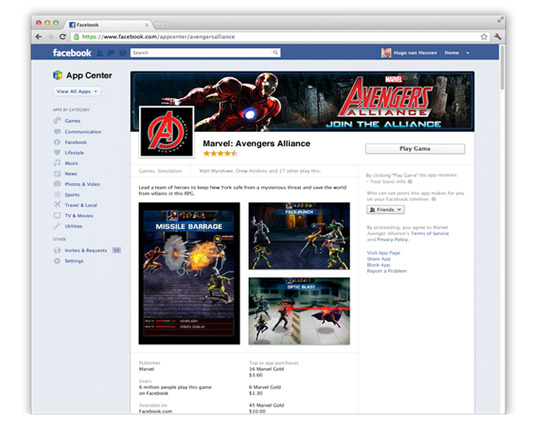 Facebook also allowed them to offer paid apps to increase their earning. So what you are waiting for go a head explore a unique idea and become rich with Facebook App Center. Bro having problem unable to upload images on my blog. when i click on image icon the upload option does not appear i have refeshed it many times but problem is still not solved??????????????? Brother It is due to your Browser or may be over loaded cookies. Try to Delete your Cookies from browser and then recheck it other wise Use different Browser. I just searching this kind of things in search engines. My searching was ending here. Keep up your good work. I bookmarked it for general updates.